• Scale - Most of the organizations I spoke with are dealing with a scale not seen outside of the largest banks or tech companies in the US. Hundreds of millions of users, billions of daily transactions, all generating data at scale. • Verification Challenges - China has strict privacy laws, and many citizens don’t have a banking or credit history. Thus, the identity verification procedures we are accustomed to in US companies (validating previous addresses or loan balances) won’t work. This makes the mobile number a convenient identifier—but new SIM cards can be obtained cheaply, so app-based fraud is common. When a company can’t know exactly who is behind an account, or cannot verify a bank account, there’s little risk for the attacker. One organization I spoke with told me about staggering losses due to fraudulent activity on their platform. • Growth - Imagine trying to secure an environment of unprecedented scale and complexity, and then also having to build the team, processes, and technology in a couple of years. The rapid growth of so many companies means that they’re still learning as they go. • Ubiquity of Mobile - Like many travelers from the US to China, I was struck by the convenience of mobile payments, and the fact that many shops and restaurants refused my cash or credit cards. Several of the companies I spoke with have only mobile interfaces. When your organization’s primary (or only) user interface is a mobile app, your threat model is different, but simpler, than a company supporting a variety of methods of user interaction. It’s a smaller surface area to defend, when compared to that at so many Western companies I work with—who are tasked with defending not only mobile and traditional web sites, but dozens of legacy DMZs, 3rd party interfaces, direct vendor connections, legacy system connectors, etc. that have built up over the years. • Modern Platforms - None of the organizations I spoke with faced the legacy tech issues that I see at companies in the US. Most are working with systems that have been built in the last few years. • Cost - The sheer size of security teams at the companies I met with was eye-opening. 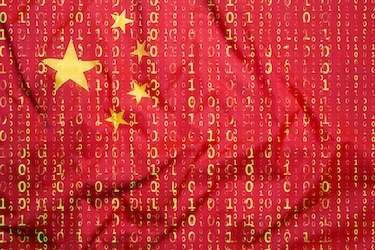 While some organizations in the US have large information security teams, the Chinese companies dwarfed them on a relative basis—resources are generally more affordable. Reuters has reported that salaries for those with graduate degrees in Artificial Intelligence and Machine Learning are starting to rise, compensation for experts in other security domains—incident analysis, compliance, vulnerability management—remain relatively low. • Culture - US companies often struggle with the basics as they try to balance user convenience with security. I remember once talking with executives at a Western pharmaceutical company who had been breached. Despite their issues, this company resisted deploying two-factor authentication to their critical research systems and was slow to deploy critical patches to most of the enterprise out of fear of employee disruption. I’m sure many readers have to deal with a similar balancing act in their organizations. I asked several Chinese companies about how they balanced employee convenience and security, and this did not seem to be an issue. “When we need to deploy a patch, we just deploy it.” This is not to say that every organization I spoke with had a stellar security culture, but I did not get the impression that employee convenience got in the way of security. Grady Summers is Executive VP and Chief Technology Officer at FireEye, where he oversees the global CTO team that supports R&D and product engineering and works with customers to address today’s evolving threat landscape. Grady has over 15 years of experience in information security both as a CISO and consultant to many Fortune 500 companies. He joined FireEye through its acquisition of Mandiant in 2014. Prior to Mandiant, he was a partner at Ernst & Young, responsible the firm's information security program management practice. Before E&Y, Grady was the CISO at General Electric, overseeing a global information security organization. His previous roles at GE include divisional CTO and a variety of positions in application security, web development, and infrastructure management. He holds an MBA from Columbia University and a bachelor of science in computer systems from Grove City College.